(English) HOLY WEEK PHOTO PRESENTATION. 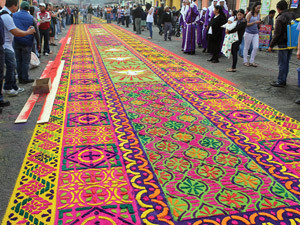 Enjoy an hour-long presentation with Elizabeth Bell including fabulous descriptions and photos of carpet making, velaciones, processions and information about this season. Great tips to enjoy the processions! Questions encouraged and autographed books available.